Join Bishop Mark Webb & Upper New York Conference for Wesley Heritage 2020! Prices start at $3,298* out of New York or $3,498* out of Buffalo, Rochester or Syracuse from February 11-19, 2020. Arrive in Manchester this morning. Visit York Minster Cathedral before enjoying free time this afternoon to explore York on your own. Consider a walk around the city walls, built on Roman era foundations, for an excellent view of the city, or visit the York Castle Museum and the JORVIK Viking Centre for a look through the history of York. The quiet English countryside and green, rolling hills will delight you as you travel to remote Epworth in the Fen Country. Here Samuel and Susanna Wesley raised their brood of children in the Old Rectory while he served the Parish Church for 39 years. You’ll become familiar with the upbringing and early life of John and Charles Wesley when you visit their childhood home. You’ll see Memorial Church, built with contributions from around the world. Enjoy a worship service with the local people of Epworth. Then visit St. Andrews Church at Epworth. Learn about the educational background of the Wesley brothers John, Charles and Samuel, Jr. when you view Christ Church College at Oxford University. In the ancient port city of Bristol, you’ll have a lecture in one of Wesley’s early centers of ministry, the “New Room”. This oldest Methodist building in the world is unusually attractive in its basic simplicity. Then visit the home of Charles Wesley, the famous hymn writer. Bath, a spa town of Roman origin, deserves its name. Since the first century, the warm waters have refreshed and healed. You’ll see the unique Roman baths and enjoy this beautiful city of 18th century streets and quaint shops. Continue to London for overnight. John Wesley left his mark on the town of London. 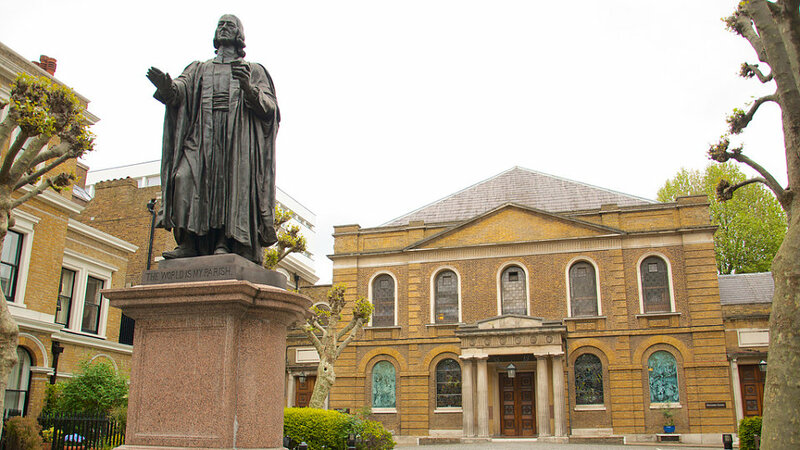 You’ll have a lecture at City Road Chapel, site of Wesley’s home and grave. Across the street in Bunhill Fields Cemetery, Susanna Wesley is buried along with other famous personages such as John Bunyan and Daniel Defoe. You’ll walk on Aldersgate Street where on May 24, 1738; John Wesley had his “Warming of the Heart” experience. You’ll walk past the entrance of “Little Britain” where Charles Wesley had his conversion experience just three days earlier. Drive by the major city sites such as Marble Arch, Speakers Corner of Hyde Park, Trafalgar Square and much more. Your first view will be of Westminster Abbey where royalty are christened, married and buried. You will visit St. Paul’s Cathedral where John Wesley often worshipped. 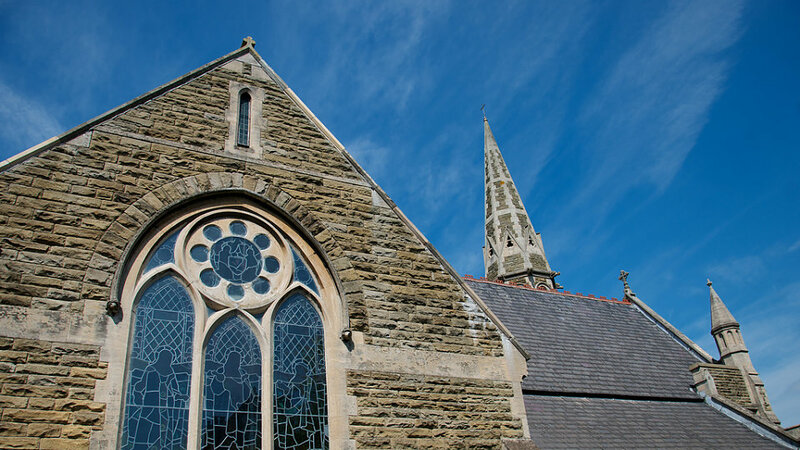 On the day of his conversion, Wesley came here for an afternoon service and was deeply moved by the choir’s anthem, "Out of the Deep Have I Called Unto Thee, O Lord". Experience the lifestyle of our British cousins as you explore the vibrant town of London on your own. Go and see the regal adornment of Buckingham Palace. Take a ride on the London Eye. Visit the British Museum and wonder at ancient treasures and works of art. Experience a show in London's famous West End theater district. Enjoy any of these options or more as you enjoy the sights and sounds of London on your own today. Your dinner is on own this evening. Say farewell as you return to the USA or enjoy the exciting extension to Ireland. Explore and enjoy the vibrant capital city of London on your own. 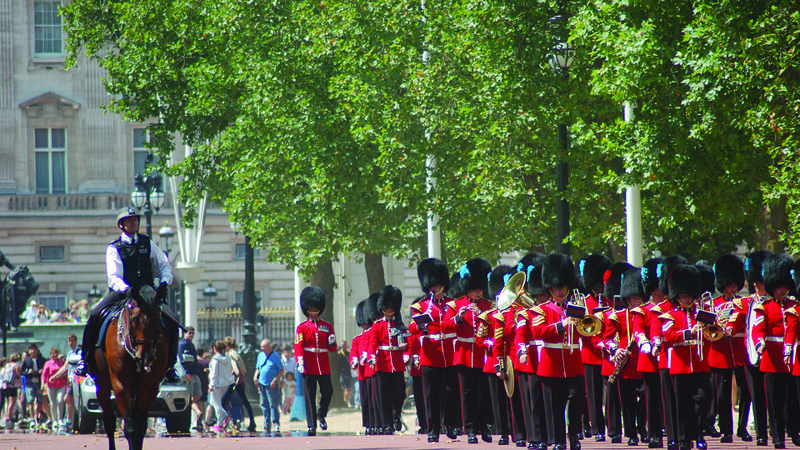 The London Pass gives you free entry to the subway (Underground) and bus transportation systems, as well as over 60 attractions, including the Tower of London, Windsor Castle, the London Zoo and Kew Gardens. To see the current list of attractions covered, log on to: www.londonpass.com. This Extension does not include Airport Transfers, Hotel Tips, Lunch, Dinner, or Guide. February 22 Transfer to the airport for your return flight home. Depart England on your flight to Cork, Ireland. Our representatives will meet you at the airport and transfer you to your Irish bus as you head for Cobh. Here, you will visit the Heritage Center. From this port between 1845 and 1860, 2.5 million people sailed to America. If you had an ancestor who came from Ireland to America, find your family name on the archived passenger lists. Visit Blarney Castle and Blarney Woollen Mills Shop. At the Castle of Blarney, you will see the fabled Blarney Stone. Legend says that those who kiss the stone acquire a gift of eloquence. Check in to your Killarney area hotel for dinner and overnight. Delight in some of the most spectacular scenery as you travel the Ring of Kerry. Pause at the seaside village of Waterville. Here Charlie Chaplin owned a summer home, and Payne Stewart was Club Captain of the local golf course. Visit the 19th century Muckross House. You will enjoy this magnificent Victorian mansion that is considered one of Ireland’s leading stately homes. Return to Killarney for dinner and overnight. Enjoy the beauty of the thatch roofed streets of Adare. The church here has a Norman Castle keep at its center. See the Rock of Cashel, the traditional seat of Irish kings. Here St. Patrick is thought to have converted the King of Munster. The present ruins are from structures built in the 12th and 13th centuries during the Norman era. Continue on to Dublin for dinner and overnight. Explore historic St. Patrick’s Cathedral, a former Catholic church now part of the Church of Ireland. The church was transitioned from a Catholic church to the Church of Ireland over the centuries. Jonathan Swift, author of Gulliver’s Travels was a pastor here. John Wesley spoke and administered communion here on one of his numerous visits to Ireland. Take a walking tour of Trinity College. Founded by Queen Elizabeth I in 1592, it is the oldest college in Ireland. Visit the Old Library here and see the Book of Kells, an ornately illustrated Bible produced by Celtic monks around 800 AD. Enjoy lunch at the Church, a pub that was originally a church where Wesley preached on his first visit to Ireland. Enjoy an afternoon to explore and shop on your own as you walk along the Liffey River or visit the various museums. Return to your hotel for dinner and overnight. Say farewell to Ireland this morning as you return home with memories of the people and places of England and Ireland! Guests taking an extension may be on a different flight than their group and/or traveling companion.